In pre-election interview, PM Netanyahu promises not to uproot settlements or give up control of security in Judea, Samaria. In an interview with the editor of a conservative Israeli weekly, Israeli Prime Minister Binyamin Netanyahu said that he has already told White House adviser Jared Kushner and US Special Envoy to the Middle East Jason Greenblatt that there can be no Palestinian state. But Prime Minister Netanyahu said that he did not know when the Americans would present the plan. “I asked that question in a visit to Washington now, and I did not get an answer: If they had wanted to present the plan right after the elections, they would have said so. In any event, I stated my guidelines for the plan. 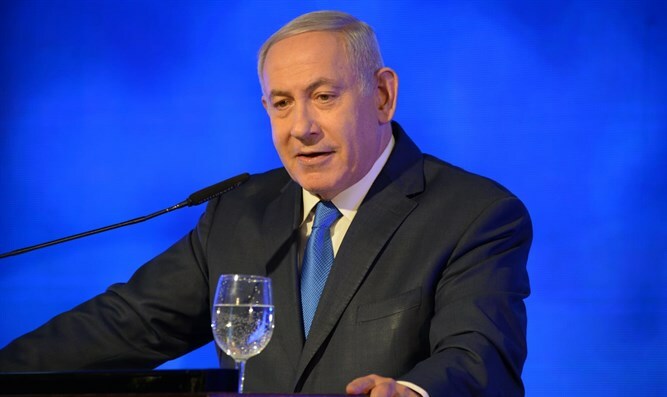 I will not accept any plan that uproots even a single settlement or settler,” Netanyahu said. Hagai Segal: Could there be Palestinian sovereignty over Jewish settlements? Netanyahu: “Certainly not. Not even a single one. Governance west of the Jordan River will remain in our hands. We have the responsibility for governing from a security point of view over the entire area. That is our condition. We will not commit suicide to win a positive article in the New York Times, which will not last more than two hours. " HS: So what will the Palestinians get from you? HS: And if Trump were to demand recognition of a Palestinian state, and were to say that after everything he did for Israel, Israel must acquiesce? “There will be no Palestinian state. Former Vice President Joe Biden told me at the time that given all the conditions I have - regarding maintaining security in our hands, maintaining the settlements and not dividing Jerusalem - there can be no Palestinian state. I said to him, “That is correct”. These are my positions. These are the three principles that I will not give up on. I told Jared Kushner and Jason Greenblatt the same.